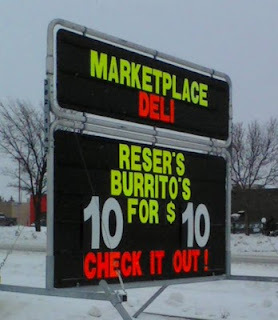 Here's another gem provided by the Apostrophe Catastrophes blog. This was a sign found in the city of Saskatoon, in Saskatchewan, Canada. I guess that up in the Great White North, a burrito can really be possessing.